Ambition restored! If you’ve felt thwarted or overlooked at work for the past few months, you’ll be delighted by today’s cosmic newsflash. Your ruling planet, driven Mars, resumes forward motion after being retrograde since June 26, and in the last couple weeks, in your career corner. With this course correction, you should feel your mojo returning, and opportunities that seemed blocked will open once again. Pro tip: With the red planet here until September 10, pace yourself so you don’t burn out! 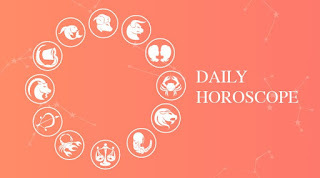 If your life has felt like it was in slow-mo (and certain things have been a no-go), that’ll all start to change today, as eager-beaver Mars wraps up a stultifying retrograde that began June 26, ending up in your ninth house of travel, adventure and expansion. If you started developing big plans that went nowhere, you can safely resume them and expect better results. This course correction could inspire you to book an oversea trip, sign up for a workshop or launch your own business idea! Say goodbye to that grudge—it’s only hurting you to hold on to it. You’ll have the stars as your cosmic mediator on Saturday, when a rare grand earth trine forms between the groundbreaking Sun, stable Saturn and transformative Uranus in the most sensitive parts of your chart. Reach out to loved ones and resolve any misunderstandings. Avoid a victim mentality and examine your own role in this dynamic. Are there things you need to take accountability for as well? If you own your issues, it could help the other party accept responsibility for their actions. Trouble in paradise? Or just constant bickering with a key connection? If the past two months have been something less than easy-breezy in your close relationships, you can blame belligerent Mars, which has been retrograde since June 26 in your partnership houses. But today he makes a long-awaited about-face, which should restore the peace and good vibes. If there are apologies to be made (or requested), waste no time. With Mars back on track, these next several weeks hold the promise of deeper bonding and steamier passion! Have you had a little TOO much fun this summer, Leo? Now that your birthday season is in the rearview and everyone’s in “back-to-school” mode, you can resume the health-supporting habits that might have slipped away over the past two months. You’ll get a major hit of cosmic support on that front as motivational Mars ends a summer-long retrograde that began on June 26, ending in your sixth house of wellness and organization. Lock up the liquor cabinet, purge the junk food from your kitchen, and reload with nutritious goodies. Commit to regular exercise…and you’ve got this! Has your love life felt more like a telenovela than reality for the past few months? (Or are you shaking your head and thinking “What love life?”) No matter what your complaints, they could become ancient history now that energizing Mars is resuming forward motion after a two-month retrograde that ends in your passionate, dramatic fifth house. He’ll be heating things up in this area until September 10, so throw yourself back into the romance game. If you put a creative project on hold this summer, unearth it now! You can restore the peace and tranquility on the home front today, as pugnacious Mars ends a testy retrograde that began on June 26 and ends in your domestic quarters. If a relative or roomie has been difficult (and yes, Libra, that’s a euphemism), you might be able to reason with them now. Leave your own anger or resentment at the door and see if you can’t smooth out the kinks. These next two weeks are also great for a redecorating—or major decluttering—mission! It’s been easy for minor disagreements to conflate into WTF blowups over the past two months, but that—plus a slew of silly miscommunications—could come to an abrupt end today as agitator Mars ends a two-month retrograde. 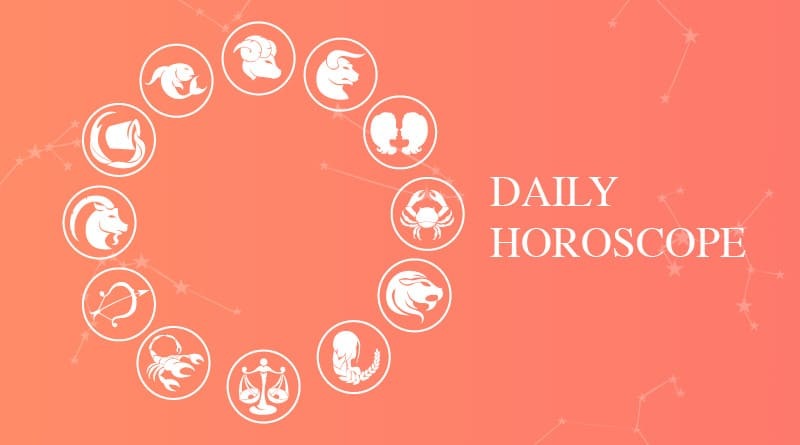 With the red planet powering forward in Capricorn and your third house of communication, you’ll be able to dodge those traps like the pro you are. Use your considerable verbal abilities to spread a positive message and bring people together, not drive them apart! If funds have been slipping between your fingers and friendships have been fraught this summer, you can flip that script starting today! Forceful Mars has been retrograde since June 26, driving up tension in your day-to-day life. For the past couple weeks, it’s been backing through your second house of money and work, which might have felt like the driver was asleep at the wheel. But now that Mars is resuming forward motion, so can you! Set a couple ambitious yet inspiring goals and craft a game plan to achieve them. You’ve got two weeks to make headway, so get cracking. Stop, go, hang on a sec? If that’s been your speed pattern for the past two months, you can blame it on (normally) driven Mars, which has been retrograde since June 26. And then when he backed into your sign on August 12, things might have really gone haywire. With this signal scrambling going on, you might not have known which way was up! Luckily, Mars corrects course today, restoring order in the Capricorn court. Hit the gas and zip into the passing lane. If you’ve felt out-of-step for the past two months, you can blame Mars, which has been retrograding through your sign since June 26 and then backed into your twelfth house of hidden agendas on August 12. But today you might want to send the universe a thank-you note as the energizing planet corrects course and starts to straighten out those messes. The silver lining? You may have seen someone for who they truly are, and while you might not like what you learned, it’s a valuable piece of knowledge. At last! You’ve had one stressful summer thanks to intensifier Mars, which has been retrograde since June 26, mostly backing through your twelfth house of hidden agendas and confusion. But today, the fog begins to lift as Mars resumes forward motion. Has a frenemy in friend’s clothing infiltrated Team Pisces? Competitive Mars has been in your collaborative corner since August 12, making group dynamics a source of stress. But now that Mars corrects course, your social life is on the upswing. The red planet will stay in this social sector until September 10, having the effect of a total screen refresh. Once you’ve got the whole picture, THEN you can take any needed corrective action.